WELCOME TO THE INTERNATIONAL CROSS CULTURAL FESTIVAL OF DANCE, MUSIC, POETRY, VISUAL AND PERFORMING ARTS! We are delighted to announce the 2nd Baltic Art Form Festival which will take place on 3rd - 5th June, 2016 in London. 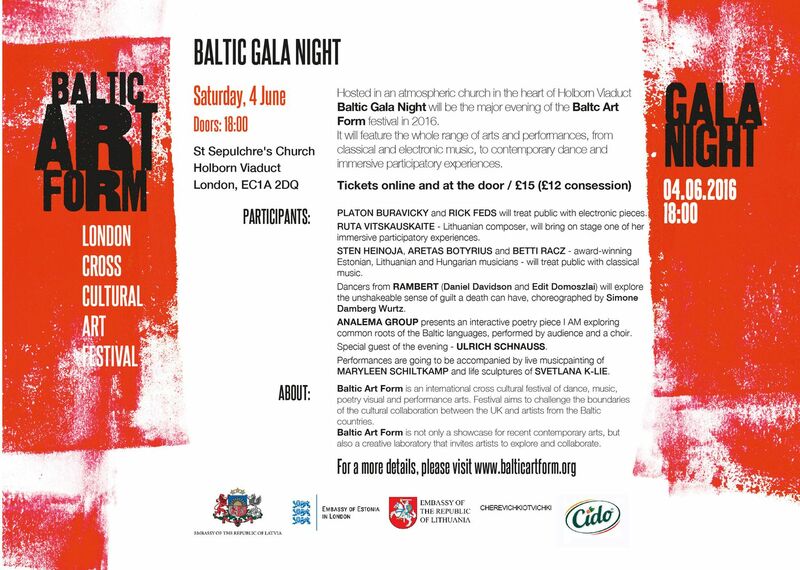 This year we are showcasing the most cutting-edge art performances from Baltic region along with British collaborators. London’s historical and cultural settings provide the backdrop to enjoy a vast variety of arts from music and dance to cinematic and immersive experiences. 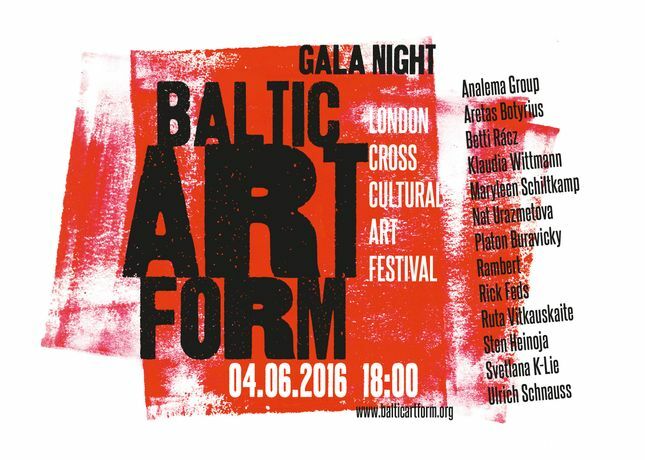 The summer is almost upon us and for the second year Baltic Art Form festival presents a glorious line-up of star-filled events for you!